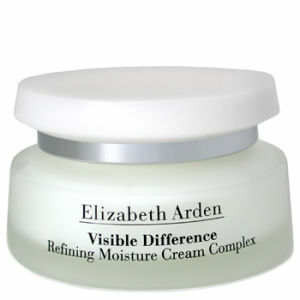 Nourishes dry skin with intensive moisture. Smoothes, softens and retextures skin. Helps to prevent lines, wrinkles and discolorations. Gives skin a firmer appearance. Leaves you with a brighter, more radiant appearance. Use in the morning after Prevage Face Serum. Active Ingredients: Octinoxate, 7.50% W/W, Octisalate, 5.00% W/W, Oxybenzone, 5.00% W/W, Octocrylene, 2.20% W/W, Avobenzone, 2.00% W/W. Other Ingredients: Water/Aqua/Eau, Dimethicone, C12-15 Alkyl Benzoate, Butylene Glycol, Cyclopentasiloxane, Isostearyl Neopentanoate, Dimethicone/Vinyl Dimethicone Crosspolymer, Butyrospermum Parkii (Shea Butter) Extract, Theobroma Cacao (Cocoa)Seed Butter, Propylene Glycol, Ppg-2 Isoceteth-20 Acetate, Glycerin, Caprylic/Capric Triglyceride, Ergothioneine, Hydroxydecyl Ubiquinoyl Dipalmitoyl Glycerate, Hibiscus Abelmoschus Seed Extract, Sodium Hyaluronate, Retinyl Linoleate, Cetearyl Dimethicone Crosspolymer, Isohexadecane, Sodium Pca, Trehalose, Urea, Hydrogenated Lecithin, Phospholipids, Polyphosphorylcholine Glycol Acrylate, Sucrose, Cetearyl Alcohol, Hydroxyethyl Acrylate/Sodium Acryloyldimethyl Taurate Copolymer, Polysorbate 60, Trideceth-6, Acrylamide/Sodium Acrylate Copolymer, Polyquaternium-51, Peg-8, Acrylates/C10-30 Alkyl Acrylate Crosspolymer, Xanthan Gum, Sodium Hydroxide, Bht, Mica, Mineral Oil/Paraffinum Liquidum/Huile Minérale, Dimethiconol, Phenyl Trimethicone, Parfum/Fragrance, Alpha-Isomethyl Ionone, Linalool, Benzoic Acid, Butylparaben, Ethylparaben, Isobutylparaben, Methylparaben, Phenoxyethanol, Propylparaben, Chlorphenesin, Iron Oxides (Ci 77492), Red 4 (Ci 14700), Titanium Dioxide (Ci 77891), Yellow 5 (Ci 19140). Love this moisturizer. I'm happy with how it feels on my skin and does not leave my skin oily. It spreads nicely. I use Prevage Anti-Aging Daily Serum every morning. After applying the serum, I would then apply Origins A Perfect World moisturizer for daytime. I always felt there would be some ingredients that could possibly interfere with the absorption of the Prevage serum. I finally purchased Prevage's moisturizer with sunscreen and feel more confident using a product from the same line. My only complaint is the packaging. I would prefer an open container that allows you to see how much product is left in the same way that their Prevage Neck/Decollette Firm and Repair Cream is packaged. Since it's the first time I purchased this product, it's hard to estimate when the moisturizer will run out and I hate that moment when you realize there's no product left!